Joyner Lucas Calls Tory Lanez a comedian for claiming He’s A Better Rapper. Joyner Lucas challenges Tory Lanez to a good old fashion rap battle. 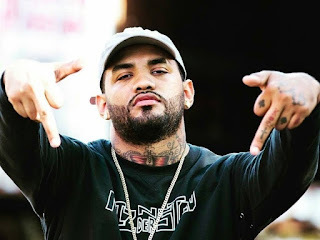 If there’s one thing that Joyner Lucas knows, it’s that he’s one of the nicest rappers in the game, bar-for-bar. He’s so confident in his skills, he barely thinks twice before challenging someone to go battle him. Over the weekend, Tory Lanez made some comments that seemed to rub him the wrong way, and now, he wants Tory Lanez to put his skills to the test in a rap battle. Tory Lanez is undoubtedly confident in his abilities as an artist, whether it comes to singing or rapping, but he doesn’t think that anyone could touch him when it comes to writing songs.